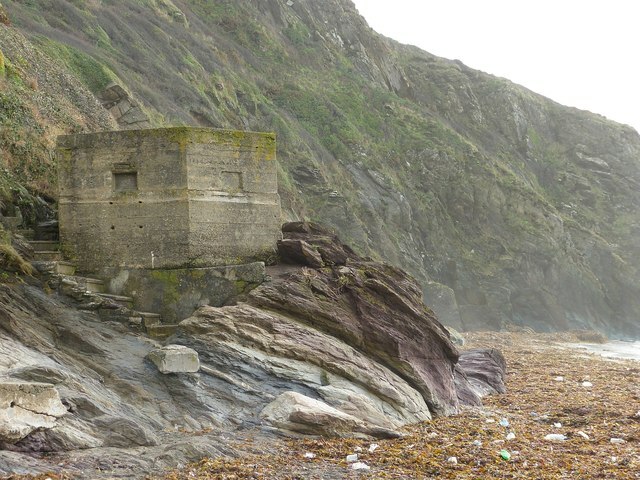 If The Cornish Engine House was an essential for the area, then a World War II pillbox or two will be even more indispensable for both the time and the place we're modelling. Cornwall, with its huge stretch of coastline and numerous beaches suitable for amphibious landings by enemy tanks and troops, became a fortress with lines of pillboxess, as this map shows. Two useful links: War in Cornwall and Fear of Invasion tell us more. Image: © Copyright Rob Farrow and licensed for reuse under this Creative Commons Licence.